PICS Now in 38 States and Still Growing! 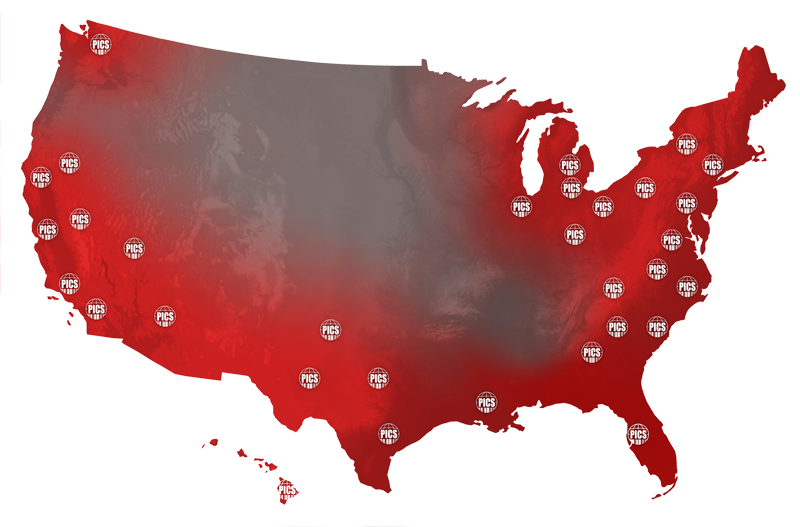 Currently we have strategically placed regional offices in over 38 states and we are continually expanding as the market dictates. If you have questions on whether we can service your locations, please call our sales department at (888) 303-8482. Very professional. I really appreciated the attention given to the customers. For example, counting all registers and kiosk first thing to minimize customer interruption. Very knowledgeable around procedures. Counters very efficient. Thanks!